As a Same Day Courier Bristol we drive over bridges every day to collect and deliver for our customers, but have you ever really looked at the bridges your going over? In Bristol one of the most famous bridges is the Clifton suspension bridge a recognisable landmark in Bristol for over 150 years. It is a grade I listed structure and has now become one of the city’s largest tourist attraction even attracting a regular park run across it. 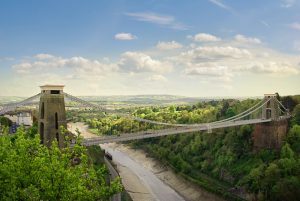 Bristol located at the close to the Severn Estuary and situated on the River Avon used to be the second largest port in England after London that traded with France, Ireland, Spain, Portugal and North Africa’s Barbary Coast.. The river Avon that flows through Bristol became key for trade, it would courier mainly wool, lead and coal but also had imports of wine, timber and olive oil. In 1698 The Royal African Company had complete control over trade between Britain and Africa where slaves became an important commodity. The Society of Merchant Ventures an organisation of elite merchants in Bristol wanted participation in the slave trade and after much pressure the control of the Royal African company was broken, slaves where couriered in by ship with the first “legitimate” slave ship the beginning which was registered to the city of Bristol which began moving slaves around the world. 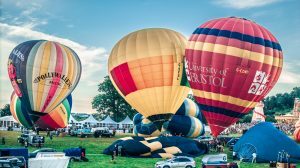 Eventually Bristol port became the leading slave port in the UK with trades peaking between 1730 and 1745.
Who doesn’t like to see Giant Hot Air Balloons in the sky, well in Bristol on 8th – 11th August you can get to see 150 of them set off into the air at the International Balloon Fiesta. 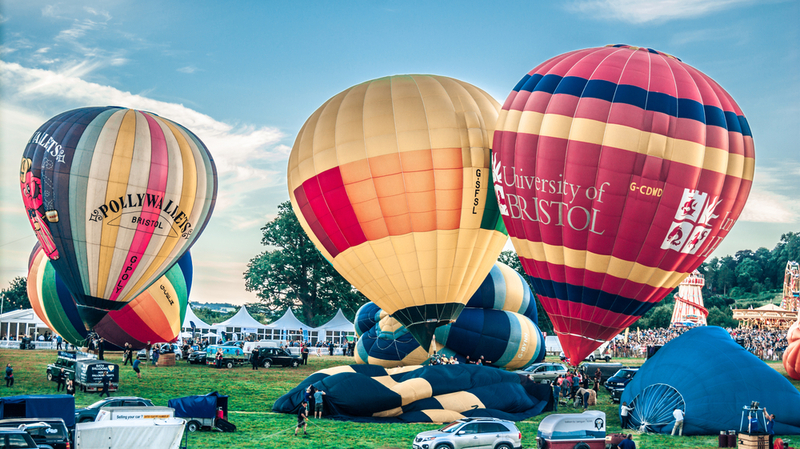 An annual festival that is located at Ashton Court it attracts crowds over 100,000 each year. As a dedicated same day courier Bristol we don’t have any balloons in our fleet for deliveries, we’re not sure our customers would be happy on the time a delivery would take let alone relying on the wind direction. The balloon makers Cameron Balloons are based in Bristol and make many of the unique balloons you see in the sky above, which have included Rupert The Bear, Bertie Bassett and even Stuart the minion. Bristol has been synonymous with the Aerospace industry with Rolls Royce and Airbus situated in Filton. The area and industry have relied on Same Day Couriers since starting with urgent components being collected and delivered across the country and into Europe. We’ve been fortunate to be part of this supply chain delivering parts as far afield as Toulouse in the South of France. The largest passenger airliner the Airbus A380 had much to thank Bristol for, the huge wings many of the sections were built here in Bristol, the engines being developed and built at Rolls Royce just across the road. As we have mentions the Giant in the sky was built using Roll Royce engines and took 3000 engineers to build, but just 14 years later Airbus has stopped production of the A380 due to unfeasible logistic costs. 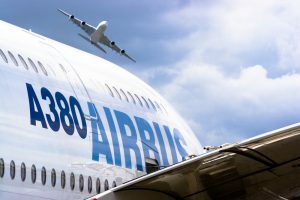 The Airbus A380 has reportedly cost over 19 billion has never turned a profit, production stopped and switched to the slightly smaller A350. The remaining planes are being dismantled and parts are being sold off for other builds. The smaller Airbus A350 and has been sold to 47 different Airlines worldwide, it can hold up to 475 passengers. The smaller airbus A350 is made from some of the same parts of the A380 so in some ways it was not a total production failure as the engineering experience has benefitted the A350. For any urgent deliveries with Aircraft On Ground(AOG) or component supply then don’t forget we are here to help with our Same Day Couriers from small vans through to Artic Lorries. We at All About Freight love to keep ourselves educated and at “We The Curious” (formally @Bristol) we can do that. It is a fantastic family fun day for all ages, making hands on education exciting and interesting. There are over 300 exhibits and is also home of the United Kingdom’s first 3D Planetarium., hosting “Hello” weekends for communities who are don’t usually attend such venues.. After receiving 44 million from the national lottery, millennium commission and a further £43 million from commercial partners We The Curious was built and has been a brilliant place for science education ever since. 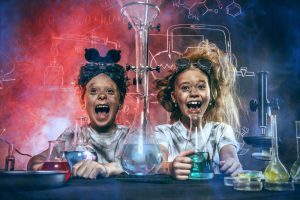 We The Curious are also an educational charity making sure everyone has access to learning about science by providing free entry for community groups and charities, holding special events for family and friends with autism and are building on working relationships with community partners. Places like this only inspire a next generation in seeking new ideas and projects, people like Elon Musk and the next generation of electric vehicles certainly have their roots from inspirations like “We The Curious”. Quite soon we will see automated drone deliveries and driverless courier vans, remember where you read it first. Posted in Bristol and tagged with Aerospace Airbus Bristol Collection Courier Dedicated Delivery Filton Rolls Royce Same Day Courier South West Urgent Van Delivery .